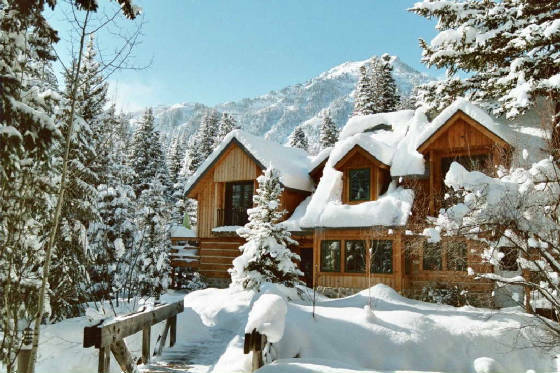 A Family operated vacation enclave within Robert Redford's renown Sundance Resort. From the mighty mountains that screen it, to the sheltered highland valley below, here is the perfect setting, private and intimate, away from the bustle, yet close to every convenience, and a minute or so walk (or ski) to lifts. Handhewn logs, massive beams, a stone-brick fireplace, pinewood floors, and the warmth of furnishings from a time long past. Pump out tunes on an antique player piano for a "sing-along" party with friends, or kickback for an evening of reading in a comfy recliner. 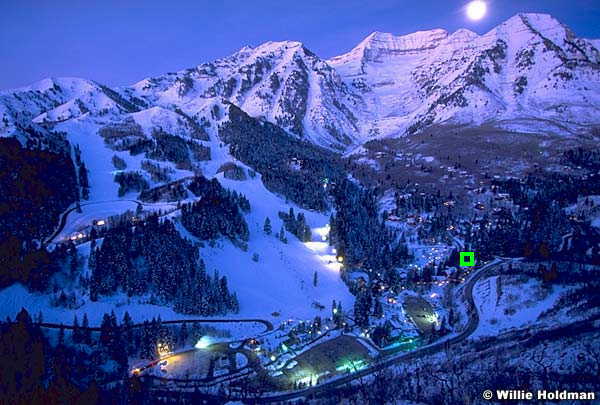 Follow the lighted footpath to the Sundance Village; find the Owl Bar and a cozy table near the fire, or opt for an unforgettable dining experience at the world famous "Tree Room" restaurant. Fall asleep to the sound of the gentle brook beneath your window; awake to the glorious vista of 12,000 foot Mount Timpanogos with its eternal glacier. Except for the quaint lodging facilities tucked-in among the pines, the Sundance Valley has changed little from the days when Native Americans roamed the area. Come visit us at Timpcreek and see why we are proud of what we offer. All accommodations have kitchens, private creekside decks, premium channel HDTV and Hi Speed Wireless internet service. January through March - Rates for Timpcreek Cottage Suites start at $149/night for two persons. Email for availability, extended stay discounts, and policies timpcreek@yahoo.com Please include number of children, gender and ages, as well as desired sleeping arrangements (e.g., are the adults paired or will they need separate bedrooms or beds; can some children share a common bed or loft?). 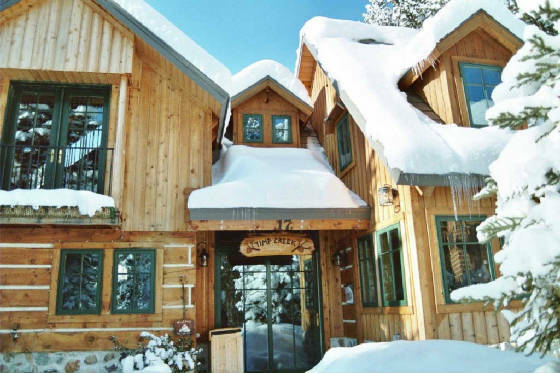 Cassidy Creek Log Home - Ski to the lift from this charming three bedroom two and 1/2 bath creekside log cabin with large loft and wood burning fireplace. Ideal for Holiday Togetherness (4 adults with up to 8 children). We can't guarantee a prize if you enter ski competition, but it will be our great pleasure to make your stay a First Place Experience.